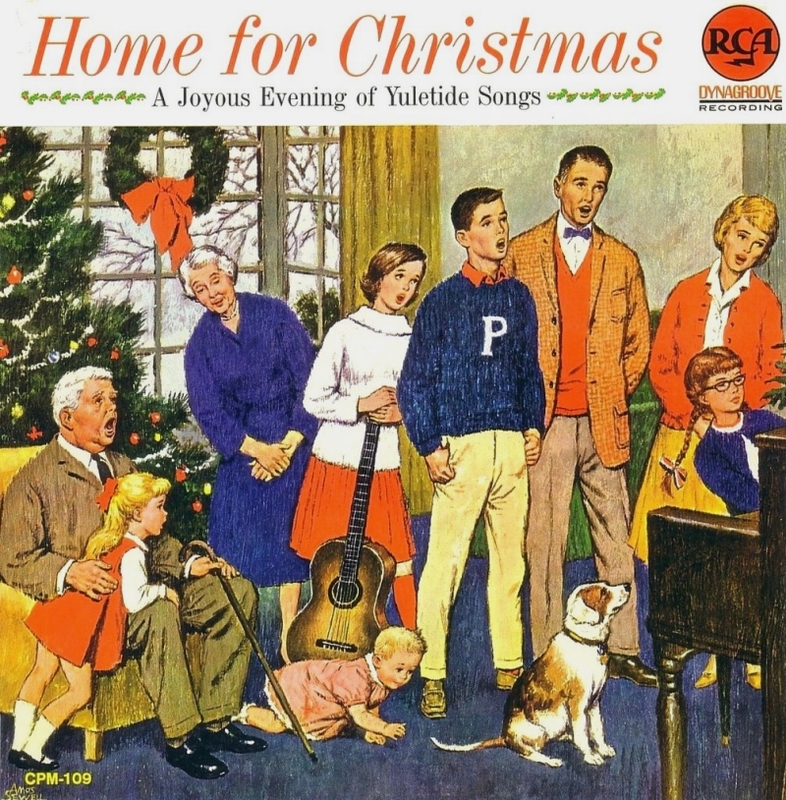 I like that the Joyous Evening of Yuletide Songs is about to erupt into a fracas when Baby gets a grip on the family dog's tail, and that Grandma sees it coming and is just going to let it happen. "Ah," she thinks. "This ought to liven things up." Meanwhile, the Fine Young Son plays his part dutifully, only the clenched fists held tight against his pockets telling of his inner rage and frustration. In four years, he'll be living on a commune with hair down to his waist. I was seeing the juxtaposition of cane, baby, guitar, dog... a truly generation- and species-spanning moment of happiness! They appear to be joining in a rousing round of "Princeton, Forward March" –interesting addition to the holiday calendar.